Earlier today I had the pleasure of attending a Vida Yoga class run by Marley at Manchester’s Luluelemon store, along with my fellow health/food/fitness blogging babes Sophie, Vicki and Sophia. 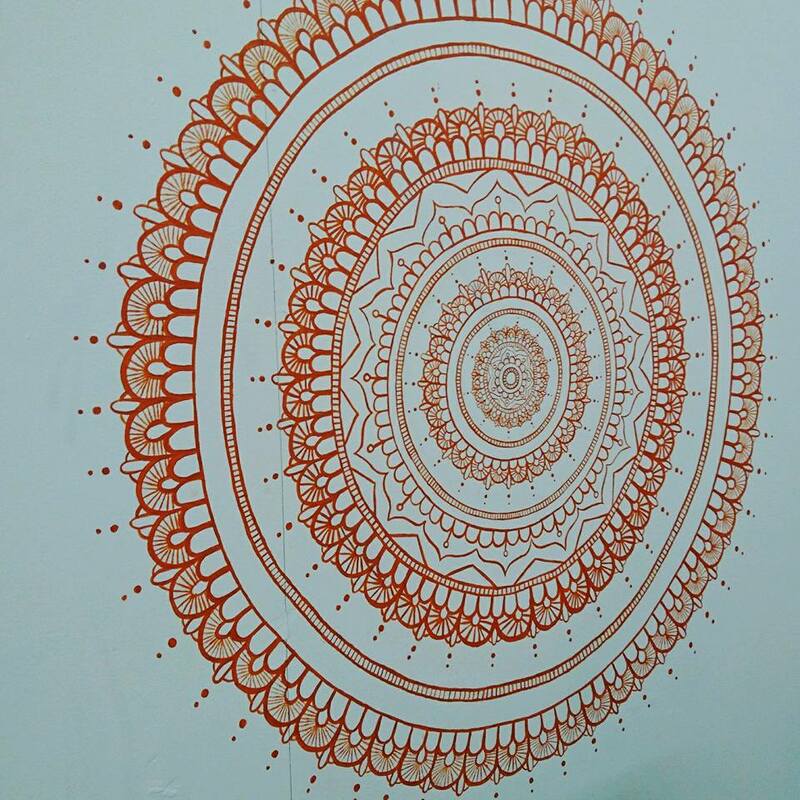 Although a small studio space, just under 30 of us claimed our mats and were guided through a 60 minute flow based on the theme of Spring Awakening by Marley, who has recently returned from India after completing 200 hours of yoga teacher training (Ashtanga -Vinyasa yoga) at Sampoorna Yoga school. 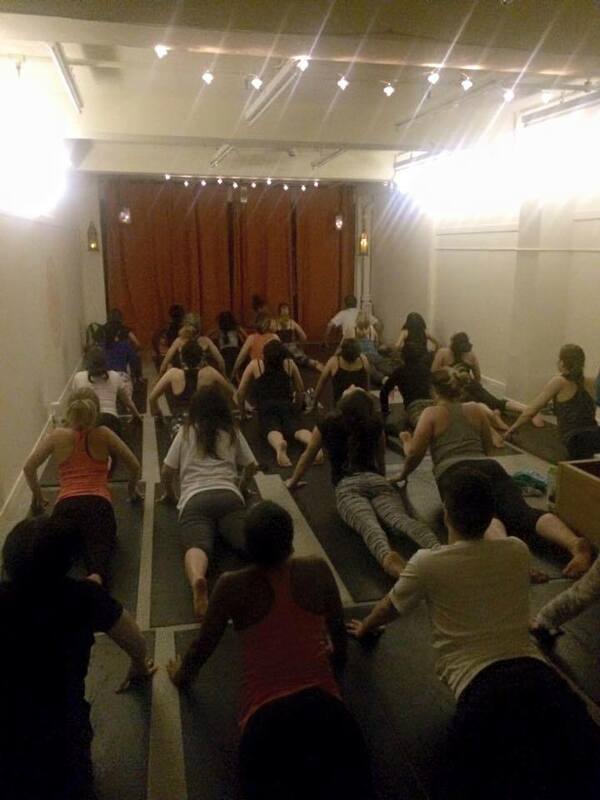 Aiming to energise, strengthen our bodies and balance our minds, Marley took us through a sequence of moves which certainly left us feeling invigorated after the class. 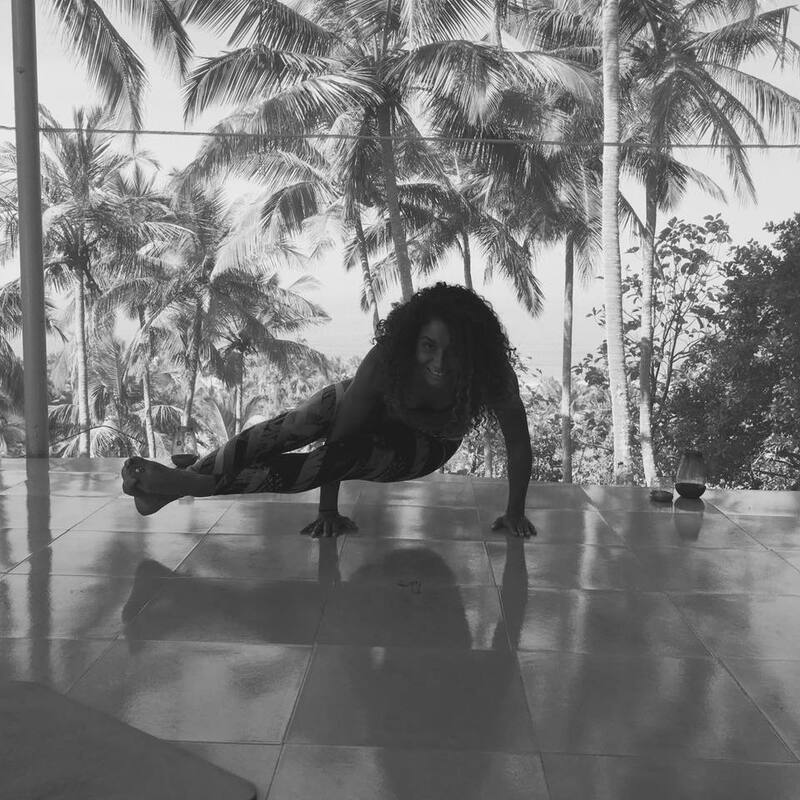 The perfect balance of relaxing yet challenging our bodies in some of the moves, it was an enjoyable change to my usual workout routine; really being in tune with every movement, every breathe in a satisfying sense of calmness. 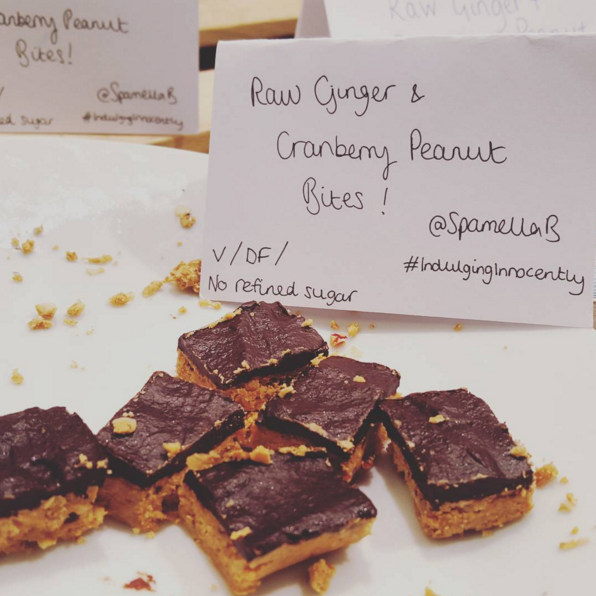 I actually came armed with some raw , vegan-friendly, dairy-free and no refined sugar treats ready to refuel after the hour-long class – they went down a storm and I promised I’d share the recipe, so here we go! Gently melt the nut butter, coconut oil and chosen syrup in a pan then remove from the heat. In a large bowl mix together the peanut flour, oats, protein powder, cranberries and ginger. Pour over the nut butter mixture and stir until well combined and the mixture sticks together. Tip the mixture out into a silicone loaf tin lined with greaseproof paper and press into it, smoothing out the top evenly. Place in the fridge for at least 4 hours to firm up. To make the chocolate topping, gently heat the coconut oil and syrup in a pan, then remove from the heat and whisk in the cacao powder until smooth and glossy. Pour this over the firmed-up bars to cover. Return to the fridge for at least 2 hours. Now pop out the whole bar and cut into bite-size chunks (about 20). 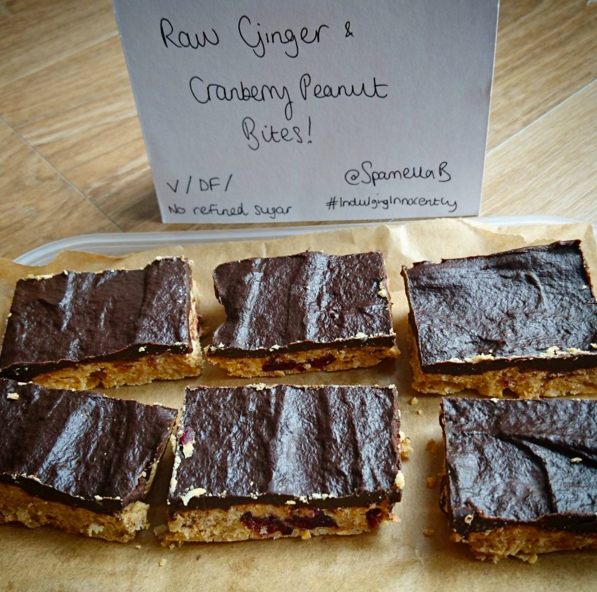 Enjoy straight away or keep in the fridge for up to 5 days so you have a healthy snack ready!